By following these simple guidelines you can easily grow a wide variety of Carnivorous Plants! Water - What type of water? Watering Methods - What method is best? Soil - What type of soil? LFS - What is LFS? 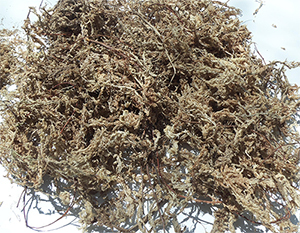 Peat Moss - What is peat moss? Perlite - What is perlite? Sand - What type of sand? Light - How much light? It is more than likely your tap water is unsuitable for growing carnivorous plants. Collecting rainwater, purchasing distilled (NOT SPRING) water, or installing a reverse-osmosis filter on your sink are your best options. 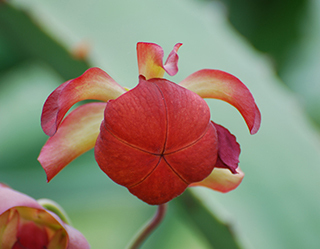 The most common way of watering Carnivorous Plants is known as the “Tray Method”. The Tray Method is very simple. First, place the pot your plant lives in into a shallow tray. The depth of your tray will depend on the height of your pot. About 1/3 the height of the pot should suffice. Next, fill the tray with water. TA-DA! It’s that easy. Be aware that frequency of watering should be adjusted with the season. Plants require more water in summer when the tray never dries completely, less water in winter, which allows the tray to dry and remain dry for a few days (unless you experience warm winters). In areas with wet winter climates you may need to empty excess water out to avoid conditions which are too wet. Basic Carnivorous Plant soil suitable for many CP's consists of these components which you will need to become acquainted with if you hope to successfully grow Carnivorous Plants. Always purchase soil components in their rawest form available (NO ADDED FERTILIZERS!!). LFS is perhaps the most common component of a Carnivorous Plant soil recipe. It is sustainably harvested from bogs. LFS holds a great amount of air and moisture, and contains no nutrients. LFS has many applications. It can be used to line the bottom and sides of a pot, helping to retain the finer soil components above it and to act as a wick to provide water. It may be shredded and added to soils, or it may be 100% of the soil recipe, depending on the type of Carnivorous Plant. It can be used in cold stratification of Carnivorous Plant seeds. It may also be used to wrap the roots of plants that have been un-potted for shipping (called Bare Root, practiced here at Carnivore Culture). Peat Moss is just partially decayed, compacted LFS harvested from deep in the bog. 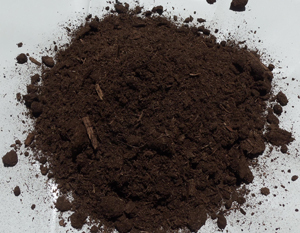 Peat Moss has a much finer consistency than LFS and is usually sold in compacted bricks. The most basic soil recipe that can be used on variety of easy to grow Carnivorous Plants is 50/50 Peat/Sand. 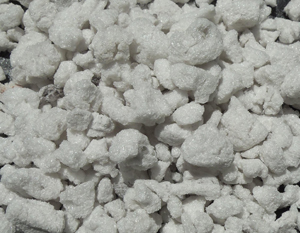 Perlite is used to both retain water and improve soil aeration. Typically, perlite shouldn’t comprise more than 20% of the soil. 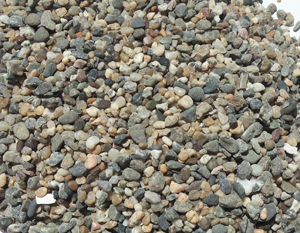 Perlite would make a good addition to a soil made with play sand! Use caution when handling. You don’t want to inhale the dust it puts off! Spray with water to knock down the dust. All sand is not equal, and beach sand should never be used! Play sand may be used if soil aeration is not an issue. Coarse sand labeled for Horticultural use is the best. Regardless of the source, sand should be washed repeatedly before use. I've started to prefer using a pool filter sand purchased from my local pool supply store. Light is very important to a Carnivorous Plant. Duh! If your plant doesn’t get enough it will grow tall and spindly, and you won’t see its amazing colors. Too much and it may burn and shrivel. Indoors, 6” from a two-bulb fluorescent shop light (T12) should be fine. Outdoors, four hours of direct sunlight a day is a safe minimum for most plants. Because natural light is so much stronger than artificial light, your plant will need to slowly adjust. First, be sure your carnivore wants full-sunlight (many butterworts do best with filtered sun or shade for most of the day). It’s very easy to grow your new carnivore outside. In order to do so you will need to slowly increase the amount of direct sunlight your plant receives each day. Start off with 2-3 hours of direct sunlight a day. The morning sun works best because it is less intense. Then increase the exposure every few days. Your plant will soon acclimate to natural light and grow beautifully. 1. I can enjoy my CP’s year round with them always looking their best! Many CP’s do not require a dormancy period, and can be grown indefinitely under artificial light. Even plants that benefit from dormancy can be grown indoors, and placed outdoors when their dormant season arrives. By adjusting the amount of light and moisture some plants can be forced into dormancy. Plants indoors aren’t subjected to rain or wind, and they always look more or less perfect. I love photographing CP’s and maybe you can see why. A pristine CP is a piece of art. 2. I can grow plants indoors that would not survive outdoors in my climate. We already control the temperature of our houses, many of us within a tropical temperature range. Why not grow some tropical CP’s? 3. Propagating carnivorous plants indoors under artificial lights is easy, less so outdoors. Whether you’re germinating seeds or striking cuttings, anytime of the year you can easily do so. Everyone should practice propagating their own plants. It is not as hard as it sounds, and many CP’s are downright EASY. After all it is the cheapest way to get more plants. You don’t have to confine yourself to windowsills and terrariums either. By simply standing the pot in water or top dressing with live LFS you can raise the humidity around a plant to an optimal level. Some CP’s really prefer a less humid environment than a terrarium anyway. I like seeing my CP’s everywhere. Try a shelf of a bookcase or closet or on a side table with a light stand. Maybe a hanging situation near a skylight (I like that one… wish I had a skylight). So I hope you will clear off a bookshelf, hang a light, pot some plants, and enjoy these freaky delights of nature called Carnivorous Plants.